This is a story about compassion for our feathered friends.&nbsp; As a child, I sat by my grandmom as she taught me about songbirds. She would say: “Listen, Dee… that’s a cardinal.” And she sang back to the birds as they visited her South Carolina yard. Saving baby birds. Yes, perhaps it is my grandmom’s influence that deserves credit for my appreciation for birds. Perhaps it was all those hours of my early youth spent listening to various bird calls as my grandmom shared the name of each one. Then, she proceeded to sing back to them. My grandmom’s backyard was a haven for every South Carolina bird who wished to stop and rest. That fascinated me to no end. Truly. So, when beginning the seventh grade, we were required to fill out a survey about our personal lives. For example, number one: what are you most afraid of? My answer at the time: black bears. The follow-up question asks: how do you handle this? My answer was simple: don’t go where they are. Yes, I was a literal thinker. Uh, no time for frills. Just give me the straight up truth, please. Another question asks: which animal would I like to be? Isn’t that everyone’s answer? I mean, a bird is free to fly wherever, whenever, however, she wishes. It must be glorious to catch an updraft or a wind current 50 feet above the trees. And birds come in all colors and hues, and all shapes and sizes. Birds are extraordinary singers and communicators. So, at age 14 while visiting New Hampshire for the summer, my siblings and I found the tiniest baby bird. It may have been pushed out of its nest. So, we knew her chances were slim. But we collected the necessary baby bird rescue kit items: you know, a cardboard box, a small towel, a jar lid for water supply, and finally a desk lamp to stay on all night long to provide warmth. She lasted just one day. It was sad to see the baby bird succumb to its injuries. Birds have always fascinated me. Perhaps they are a bit mysterious because we hear them before we can see them. Their extraordinary voices since songs across the trees, one to another as they call out to the bird community. I used to draw cardinals every chance I could get. Owls are another favorite. So crafty those owls. Mother Nature gave owls an extra dose of intrigue if you ask me. But less pivot to a bird that Mother Nature did not expect would end up with such a sad and tragic story. And this story is true. It’s about a little bird called a chicken. Here is an expert who will shed some light on the story of this magnificent species called chickens. Kathy Stevens is the founder and director of Catskill Animal Sanctuary. Last September, I had the pleasure of visiting Catskill and I took Kathy’s special private tour called “Break All the Rules. This four-minute segment was recorded in the rooster yard as 20 of us were captivated by Kathy’s every word about chickens and roosters. So, this is Travis and his friend Freddy, who didn’t want to be picked up today. Who didn’t want to be picked up right now. How many adults did egg hatching projects in elementary school? I did. Nobody did. You did? Yeah, you did an egg hatching project? So, you did an egg hatching. Really interesting, right? And we have taken many literally out of the school dumpster. They were one more batch of egg hatching discards. I grew up on a horse farm, but we were surrounded by animals and yet I never knew chickens. And I think despite the story of Rambo, as a species, who I’ve learned the most from is these guys (the chickens), these are the animals who get absolutely no consideration. We can, we understand pigs, their eyes looked like ours. They’re mammals. They’re so biologically like us that we’re already harvesting their heart valves for human replacement and we’re engineering them to harvest organs. So, they’re very like us biologically and they’re like us psychologically. So are these guys (roosters) absolutely, but it might be a little harder to read them. So, they have not even the most basic protection in the slaughterhouse or protection that defines how crowded you can keep them. And then further what visitors to sanctuaries often connect the least because somehow, they’re the least familiar. But they are smart. Again, 10 chickens are as individual as 10 people. They’re smart. They are wonderful protectors of their children. Roosters are very chivalrous calling the hens to the food and allowing them to eat first. So again, just because we don’t know who they are. These are absolutely, whether it’s egg-laying hens or broilers as called by the meat industry — categorically, unquestionably the most horrifically abused animal on the planet. So, Kathy explained that we understand pigs because they are mammals like us. But those of us who are bird lovers – we love to listen to bird calls – we are fascinated by watching nests of a bird family whose eggs hatch and give birth to little fuzzy family members. It’s a symbol of hope that Mother Nature is going strong. So how did we forget our bird friends in the chicken community? How did we decide we could hide them away in huge factories for breeding to lay eggs for the Box of Dozen Eggs we so carefully carry home to our kitchens? The industrial revolution many years ago set up our culture to accept profit making and productivity over compassion. This is not as Mother Nature intended. The egg industry has 300 million hens laying eggs as I speak. 50 Billion (with a “B”) eggs are produced in the United States every year. And this is where the story gets worse. It gets tragic for the baby boy chicks born within those 50 billion eggs. The egg industry does not need baby boys. When little baby boys are hatched from their eggs, they go directly to the meat grinder to be shredded alive. Yes, you heard correctly. 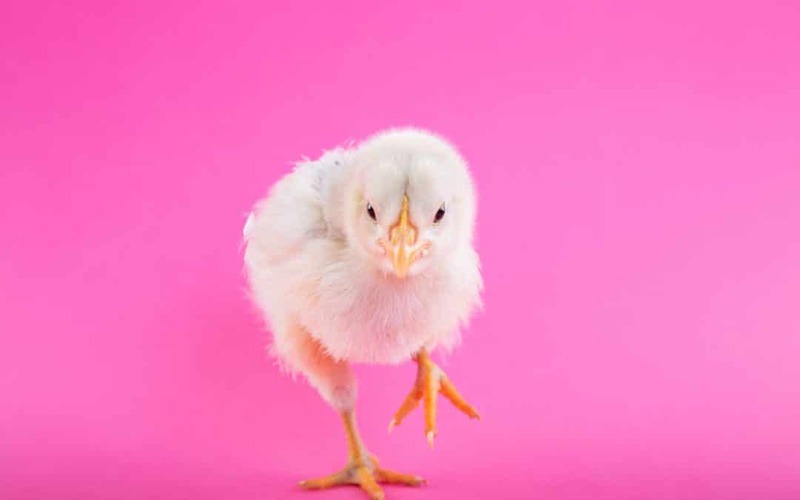 The boy chicks – just hours old – newborns… are born on one side of the factory warehouse and transported immediately to be eliminated from existence. They are worthless in the egg-laying business. Boys do not lay eggs. We humans love babies. It’s in our genetic makeup to protect young ones. So that is why I’ve produced this episode. We are a compassionate people. Now that we see the truths of the food industry, we can advocate for kindness. We can widen our Circle of Compassion to include the little boy chicks, their egg-laying mama hens, and the broiler chickens we slaughter for their flesh. We may choose to cook compassionate meals that do not harm living beings. There need not be violence. None of us wants violence. The violence of our food system has been carefully hidden for decades behind slick marketing campaigns. But now we know. Even if we choose to ignore the truths, we still know in our hearts. So, my plea today is that we open our hearts to the baby birds. We advocate to save the baby birds. Please extend your compassion to the little chickens and their babies. My website has resources for you to explore plant-based meals. Just go to my website: The Introverted Advocate dot com. Click on the Resources page and take a look at Websites. And you can also email me if you’d wish to ask for more information. My email is Dee@TheIntrovertedAdvocate.com. So, thank you for listening today. This is a topic that’s been in my heart for many, many years. I decided now was the time for me to advocate to save the baby birds. Thank you.